Right out of the DC Comic Book. 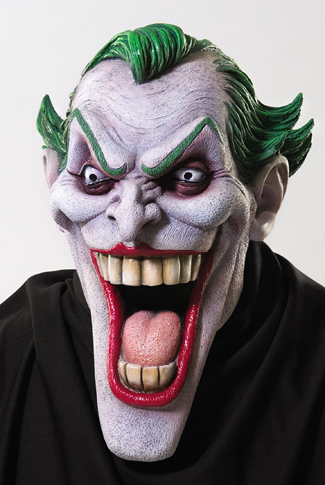 Full overhead latex mask has a long exaggerated chin for a great creepy comic look! Now you can be Batman's arch enemy, the Joker!